By Christen Costa on 06/26/18 • Leave a comment! The best shower filter performs multiple functions of water filtering, hardness removal, disinfection, energizing, and natural medication. They relax the mind and body into the perfect state of stillness which removes the accumulated stress within the skin layers, muscles, and the central nervous system. The influence of the negative ions can heal many of the pain symptoms associated with the neck, lower back, joints and the spinal cord. The ions can also detox the skin and keep it away from the common disorders, infections and the diseases. The deep massaging effects of the far-infrared layers in the shower filter can enhance the circulation and restore the blood pressure to the normal conditions within the shortest span of time. The steel filters and the calcium sulfite in the initial layer of the filter remove all the macroscopic and microscopic impurities from the water. The sulfite is a highly soluble ingredient which is highly essential for the skin health by enhancing the protein supplies to the cells and tissues. The healthy effects can be seen in the epidermis, dermis, and the hypodermis layers due to the highly penetrating property of the calcium sulfite. Moreover, it increases the strength of the collagen molecules within the epidermis and the dermis layers. Consistent exposure can increase the tensile strength, flexibility and the elasticity of the skin. The probability of wrinkles’ appearance reduces considerably. In addition it improves the skin immunity levels. By David Ponce on 09/21/15 • Leave a comment! If you’re planning a long trip out in the wilderness, you’re going to have to think about how you’re going to stay hydrated. One solution is to bring tons of water with you, but that stuff is heavy. Another is to simply pack the MSR Sweetwater Purifier System. MSR’s SweetWater Purifier System gives you added protection against bacteria, protozoa, and viruses. 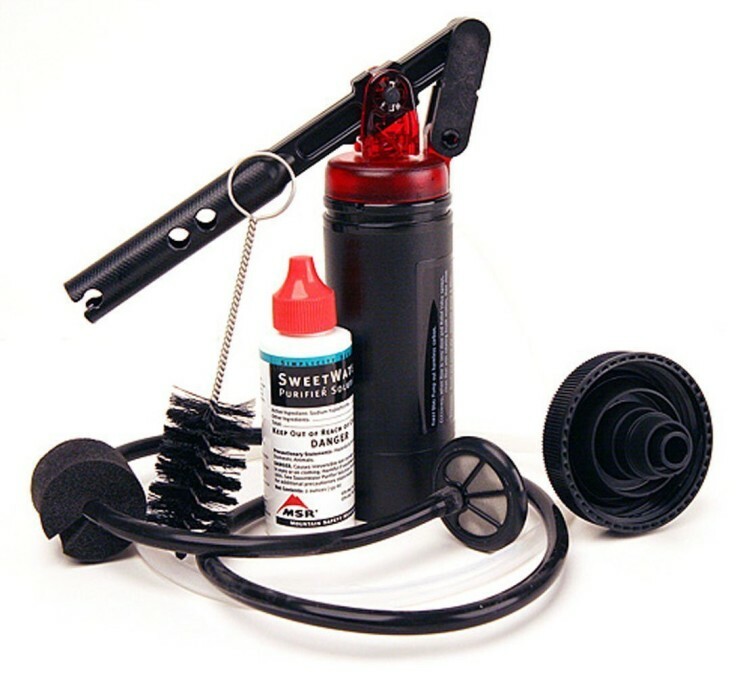 This backcountry kit includes a SweetWater Microfilter, an 80-micron stainless-steel prefilter, two color-coded silicone hoses, foam float, Universal Bottle Adapter plus cleanside cover, cleaning brush, ViralStop Purifier Solution and stuff sack. 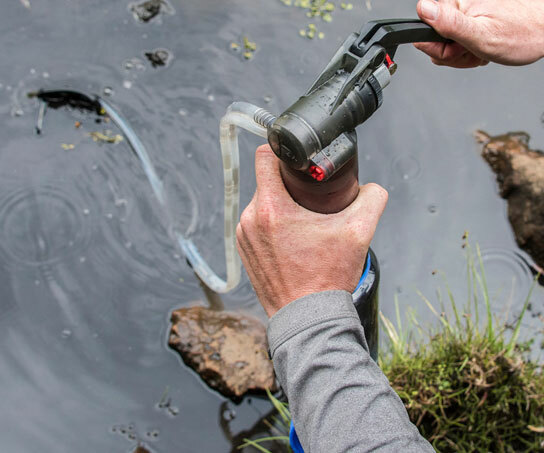 Simply pump the water through the SweetWater purifier, then add five drops of the purifier solution per liter and wait five minutes for the purification process to complete. MSR’s water Purifier Solution inactivates 99. 99 percent of waterborne viruses, bacteria, and common protozoan parasites, so you can avoid spending your camping or traveling expedition doubled over in your tent. There are many systems like this on the market, but MSR’s advantage is that it allegedly produces better tasting water due to the lack of bad-tasting iodine. Considering it’s only $100, it’s a worthwhile purchase for anyone serious about spending some quality time outdoors. When it comes to clean water indoors, however, you’ll want a different solution. No, this isn’t a giant soy sauce bottle, although you can use it for that as well. 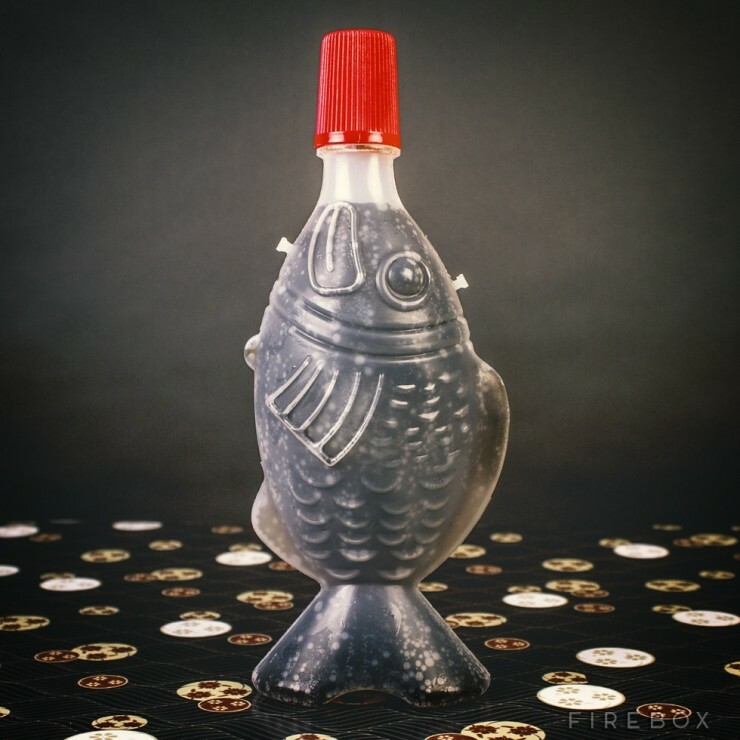 It’s actually a water bottle inspired by those small, single-serving soy sauce bottles that they give you at most Japanese sushi places. It can hold up to 500 ml of your drink of choice and comes with a strap so you can guzzle soy sauce, er, water when you’re on the go. By Hazel Chua on 11/21/14 • Leave a comment! Water is more dangerous than you think…not. Okay, so it could be, but only if you consume hideously excessive amounts of it in a short span of time. 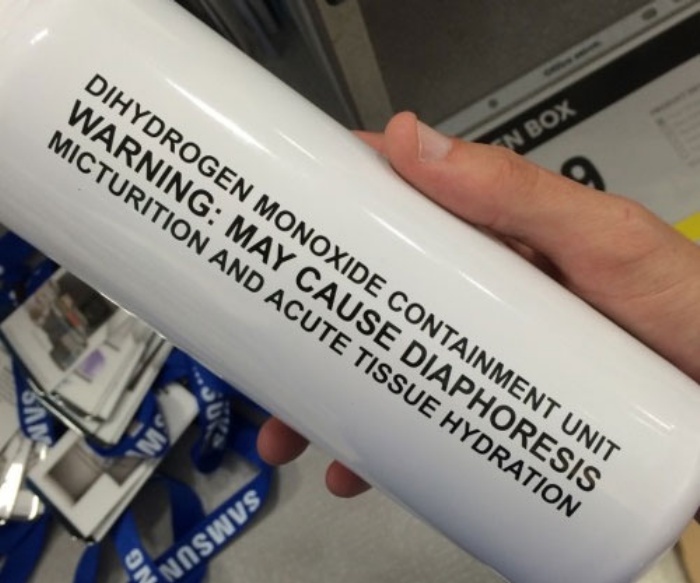 So fool a couple of people of people who don’t really know the facts about H2O by pranking– er, gifting– them with one of these ‘Scientific Side Effects Water’ bottle. A bold warning about what happens if you drink too much water is printed on the side. It reads: “May cause diaphoresis, micturation, and acute tissue hydration.” In normal human speak, that translates to: “May cause you to sweat, pee, and be adequately hydrated.” Doesn’t sound so dire now, does it? It’s available online for $18. By David Ponce on 11/12/14 • Leave a comment! There’s water all around you, and lots of it is in the air you breathe. Getting it out of there and into drinkable form, however, takes a bit of effort. 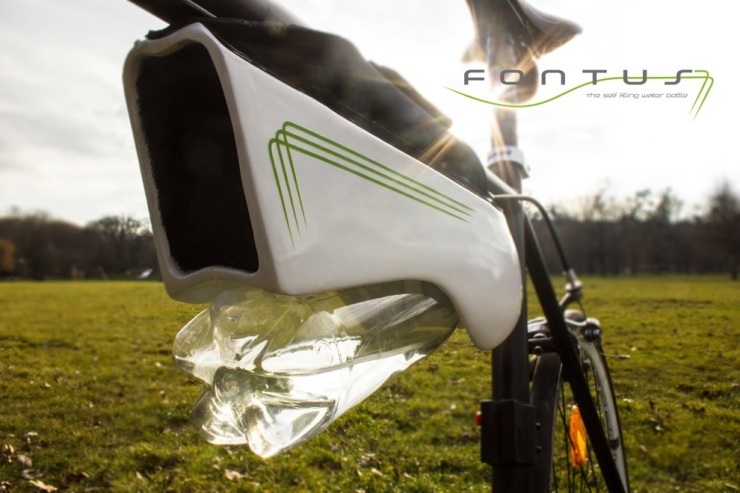 Austrian design student Kristof Retezár has come up with an ingenious device called Fontus, which uses solar power to extract moisture from the air and funnel it into a bottle. 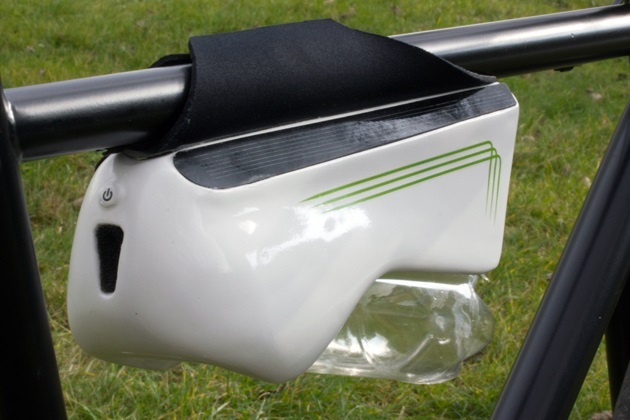 It’s meant to be attached to a bicycle, and uses the passing wind (from the forward motion of the bike) to accelerate the extraction process, reaching speeds of 0.5L an hour. This means you could drink a standard bottle of water every for hour you cycle, given the right climactic conditions. The extraction is accomplished through the use of a Peltier Element, which features two metal plates of opposing temperatures, one hot and one cold. Running warm moist air through the cold element condenses the humidity, which then just needs to be collected. It’s just a prototype at the moment, and there doesn’t seem to be any plans for commercialization. But the product could be very interesting for outdoors enthusiasts who might want to venture out, away from the grid, for extended periods. By Hazel Chua on 10/10/14 • Leave a comment! When it rains, it pours. And when there’s a blackout, well, that’s seemingly the only time when you seem to have misplaced all of your batteries… batteries which you could have otherwise used to power up your flashlight. 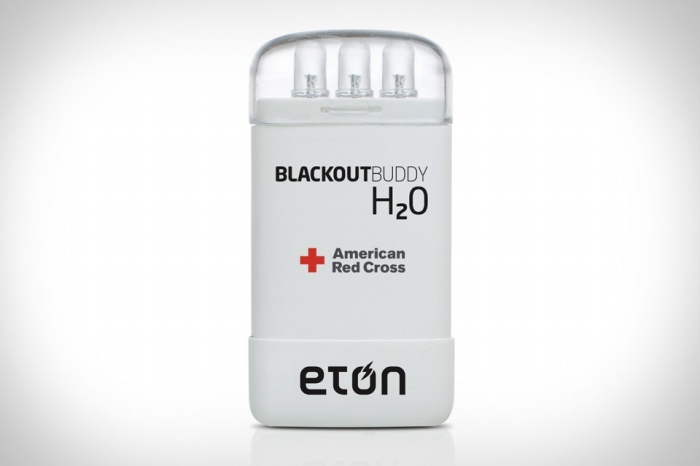 The good news is that there’s an alternative torch by Eton called the Blackout Buddy H2O. Its name gives a clue when it comes to what it needs to power up, and it ain’t batteries. 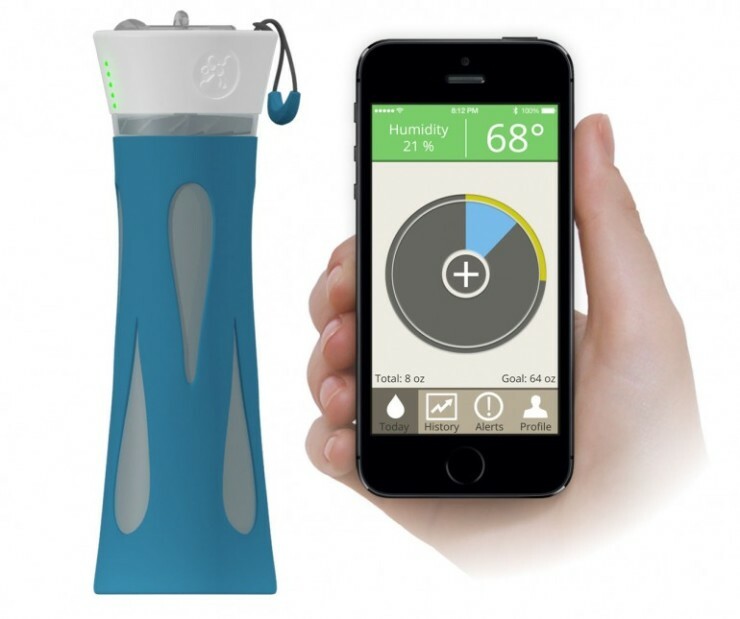 Yep, you got that right: this handy flashlight needs nothing but water to run. Just put the Blackout Buddy into a cup that’s filled with water and boom, you’ve got light. It can provide up to 72 hours of illumination, which should hopefully be more than enough. The best part? It retails for only $10. By Hazel Chua on 05/08/14 • Leave a comment! Water is something a lot of us take for granted, considering how vast populations all across the world still don’t have access to clean water, even in this day and age. A lot of organizations are trying to change this or at least come up with concepts to help people in those areas get clean water. One of these is the Drinkable Book. 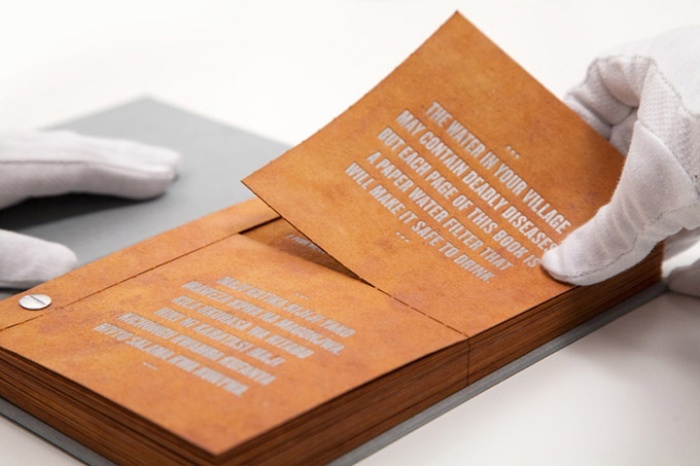 It isn’t exactly a book you can drink, because that simply doesn’t make sense; rather, it’s a book with pages on the inside that can be torn and used to filter water. The filter paper is effective in weeding out contaminants and bacteria that cause a range of waterborne diseases like cholera and typhoid. Water bottles add to the bulk of trash that’s already overflowing in most landfills. Thing is, people still need their hydration on the go and some just can’t be bothered with water jugs. The alternative? 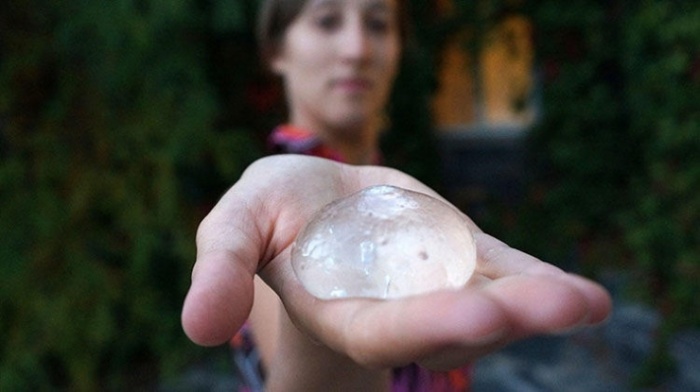 These edible blobs filled with water created up by three London-based industrial design students Rodrigo García González, Pierre Paslier, and Guillaume Couche. It’s called the Ooho and it’s a membrane made up of a compound formed from brown algae and calcium chloride. The gel-like substance is able to hold water and eliminates the need for non-biodegradable containers because, as mentioned earlier, it’s edible. BluFit Connected Water Bottle: A Solution For A Problem That Doesn’t Exist? By David Ponce on 10/03/13 • Leave a comment! You’re thirsty, you drink. It’s simple, right? Well, that’s how we see it anyway. But it turns out that staying properly hydrated can be a little more complex. For one, once you’re thirsty, it’s a sign you’ve probably already waited a bit too long and your body has fallen to suboptimal hydration levels. The BluFit bottle aims to help you stay full of water at all times, even if you’re too distracted to notice you’ve turned into human jerky. A sensor in the cap keeps track of how much water is dispensed, and an app informs you of your drinking habits. If the time comes for you to have a swig (based on your previously entered age, gender and other details), lights on the outside of the bottle will go off, as well as send notifications to your phone. There are lots of other things the bottle does, like provide you with metrics of your drinking habits. We’re not entirely convinced this is a necessary product, but we suppose that some people could be a little lackadaisical in their hydration routines. If you want your own BluFit, you’re going to have to pledge $49 towards its Indiegogo campaign.